CHI Tourmaline Ceramic 3-Piece Travel Set Just $69.99! PLUS FREE Shipping! You are here: Home / Instagram / CHI Tourmaline Ceramic 3-Piece Travel Set Just $69.99! PLUS FREE Shipping! Get this awesome deal at Best Buy! CHI Tourmaline Ceramic 3-Piece Travel Set is now on sale for only $69.99 down from $99.99 PLUS FREE Shipping! 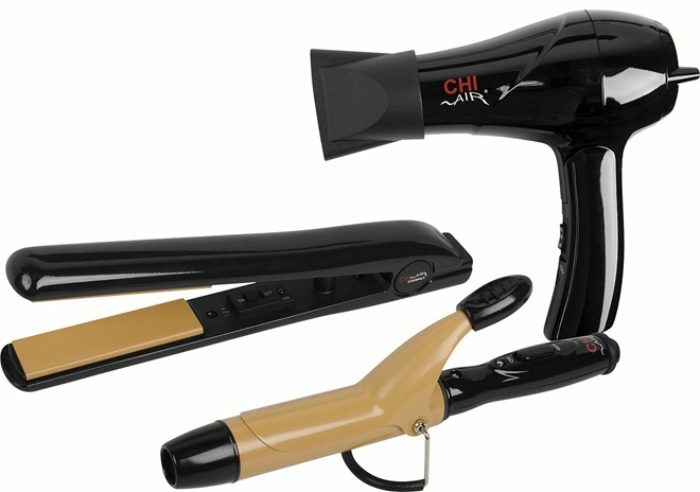 Curl, iron and dry your hair with this CHI Air CA2111 tourmaline ceramic 3-piece travel set, which includes a 0.75″ iron, a 1″ curling iron and a 1000W dryer for styling on the go. The scratch-resistant ceramic surface ensures durability.